If your company has not yet moved to the cloud, then consider the benefits of not going all the way with cloud. "I'm a strategy consultant helping the business from the inside." IT managers are transforming themselves into in-house business consultants charged with providing decision makers in the organization with the tools and business insights they need to achieve the company's goals. Such transformations always present challenges — some obvious, and some unexpected. One of the unforeseen obstacles facing IT departments as they shift from service provider to business consultant is called the "endowment effect." In a November 27, 2017, article on ITProPortal, Ian Furness defines the endowment effect as the tendency of people to value something more highly solely because they own it. This leads to them undervaluing alternatives that might actually be a better deal. The result of the endowment effect on IT is the lost opportunity to capitalize on new approaches and technologies. 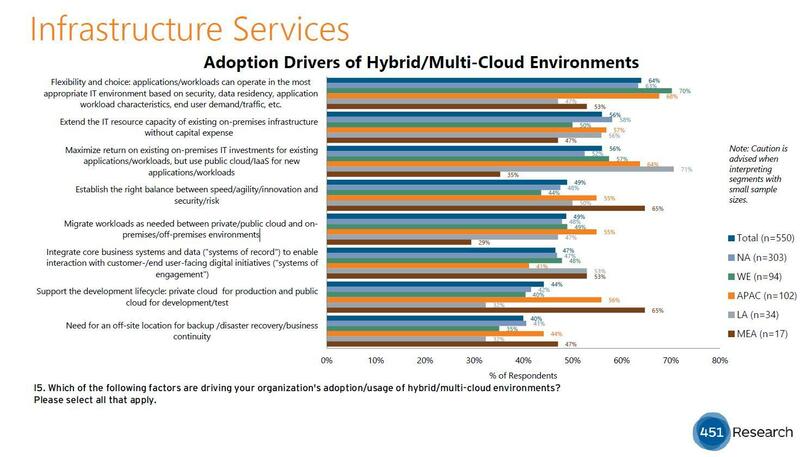 According to Furness, the emotional connection to "owning" data and systems explains the slow pace of cloud migration in many organizations. 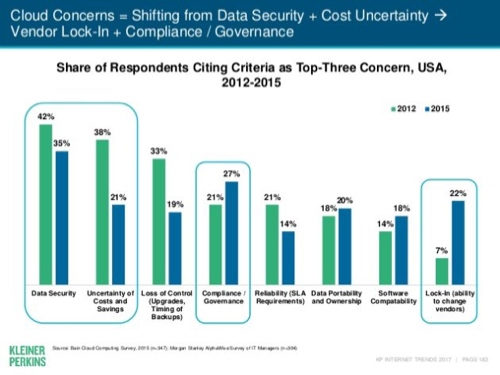 Not only does overvaluing in-house systems cost companies more money, it leaves data less secure: professional cloud services now deliver a higher level of security expertise than any company can provide economically on its own. IT workers continue to spend most of their time managing the information infrastructure that their business relies on. However, the clear trend is to let cloud services do the heavy lifting: they provide the CPUs, servers, storage, security, and network plumbing that supports your company's apps and data. IT's attention turns away from infrastructure concerns and toward discovering and distributing the business insights sought by customers throughout the organization. Companies that are just now ramping up their migration to cloud services have one built-in advantage: As David Linthicum writes in a December 4, 2017, article on Datamation, "we're just getting better at migration and refactoring." Linthicum points out that some workloads will never be a good fit for the cloud — legacy systems and proprietary databases in particular. Still, the two factors most likely to stall a cloud migration plan's momentum are fear of vendor lock-in and skepticism about the cloud's much-touted ability to save money. When enthusiasm for the cloud projects in your organization begins to sag, Linthicum recommends reminding the stakeholders that the only way to keep pace with the competition is to be as agile as they are in terms of provisioning compute and storage resources. If you can't get your products to market as quickly as your competitors do, you'll always be playing catch-up. This is one of the strategic advantages that are easy to miss when you focus exclusively on the cloud's tactical advantages. Another way to keep people optimistic about the company's cloud efforts is to generate early successes with small projects. This serves as both a proof of concept and a way to fail early, fail often, and fail small so you can learn quickly from initial mistakes. Thinking small also helps you collect, organize, and analyze metrics in a way that can be applied quickly and simply to future projects, many of which will have a larger scale. A potential sinkhole for businesses planning their cloud strategy is overspending on management. 451 Research's Cloud Price Index found that taking a hybrid/multi-cloud approach rather than relying on a single cloud service can save companies 74 percent of direct expenditures, as reported by TechTarget's Alan R. Earls in a November 2017 article. The caveat is that such savings are possible only when cost controls are applied to monitor and optimize all cloud spending. A comprehensive cost-control system ranges from such basic costs as powering off idle servers and other unused equipment, to logging the many different cloud accounts in use, including which applications and teams are using them. To automate the operating model, apply a tagging taxonomy at the build and design phases. Use tagging to identify all resources consumed in the multi-cloud infrastructure. This lets you tie each resource to a cost center. The tagging can be done via third-party tools or by open languages such as JSON or YAML. Tagging also lets you set budget alerts as part of a DevOps methodology. This highlights the need to monitor centrally all bills received from all accounts and subscriptions. You can't blame people for believing that cloud computing is the answer to all their problems. The tremendous level of hype surrounding cloud services causes many business people to think all their apps and data need to be moved to the cloud, the sooner the better. It is becoming increasingly common for CIOs and IT managers to find themselves in the role of bringing these cloud dreamers back down to earth. Market research firm IDC forecasts that 58.7 percent of worldwide IT infrastructure spending in 2017 will go toward in-house systems, as Jessica Lyons Hardcastle reports in a July 6, 2017, article on SDX Central. 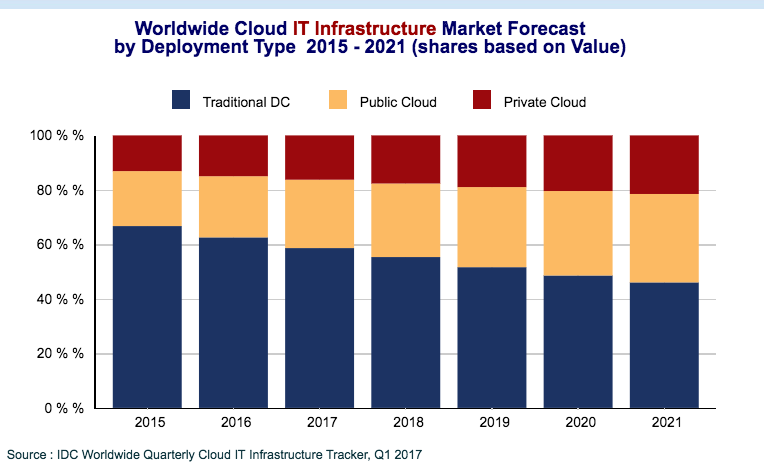 This represents a decline of 4.6 percent from 62.6 percent in 2016, and the trend is clearly toward increases in cloud IT spending: According to IDC, cloud infrastructure spending will have a compound annual growth rate of 11 percent from 2017 to 2021, to a projected $45.7 billion that year. 1.Start by bringing the cloud in-house: Rather than maintaining a legacy in-house infrastructure while migrating apps to the cloud one by one, transform your data center to an architecture that is compatible with public and private clouds. The result is greater efficiency, improved performance, enhanced security, and lower operating costs through replacement of outdated multi-vendor servers, storage, and backup. 2.Realize savings quicker by adopting appliances: Appliances that are pre-configured for a specific operation are simple to deploy and run, and they require fewer specialized cloud skills. 3.Extend your private cloud to a hybrid setup: A path many companies take is to begin their cloud strategy by migrating a handful of non-critical workloads to a private cloud as a proof of concept and testbed for tools and techniques. The downside of this approach is the time it takes to "build out" private clouds, which cancels out the speed, cost, and agility benefits of the cloud. 4.Focus on your most-critical applications: It's counter-intuitive that an organization's most important systems are also the ones most likely to be running on outdated infrastructure, and those most likely to benefit from an upgrade. For these apps, migrating to high-end servers -- whether in public or private clouds — on a single platform and using a unified management system will deliver the most bang for your IT bucks. 5.Replace outdated storage systems with their fast, efficient cloud-ready counterparts: The typical scenario as IT departments rushed to accommodate the tidal wave of data swamping their systems is simply to keep adding to the legacy storage infrastructure. The result is overspending on outdated technology and ineffective data management. Cloud-ready storage allows you to consolidate existing data resources while improving both security and performance. The IT departments that will come out ahead in the "race" to the cloud are those that get a jump on the future while ensuring that their apps and data will continue to run smoothly and safely in the present — whether they reside in-house or in the cloud. The IT professionals most likely to succeed in the future are those who think like business consultants rather than like data managers.